Can God really use me? How do I know I have a calling? How do I get my church to support me? Do I have to go to Bible College? Do I really need to join a mission organisation? How do I choose the right mission organisation? How do I raise the funding? What is Home Assignment anyway? How can I be sure God wants me to go? This isn’t really mission, is it? Can’t I just do my own thing? How do I raise support? Who is there for you when it all goes wrong? Make smooth in the desert a highway for our God. and every mountain and hill made low. 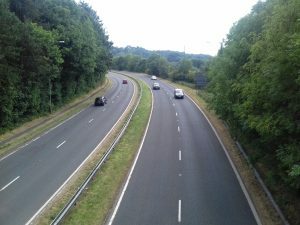 I have blogged before about the “Highway of Holiness” which Isaiah prophesied about. The point he was making is that it should be easy for people to come and find God, like using a Roman road going straight to its destination rather than the “Rolling English Road” of G K Chesterton, with its twists and turns and unexpected hazards. Isaiah is fond of the image of a motorway running from Assyria to Egypt by way of Jerusalem. Mostly it’s there to make it easy for Israelites to return to God (11:16, 35:8, 49:11) but it’s also there for the people of the surrounding nations, represented by the two superpowers of the day, to turn to the Lord – see 19:23 where the prophet has a vision not of the destruction of Israel’s enemies (as one might expect) but of them thriving as they turn en masse to God and are blessed. God has been at work among the people of the middle east for a while now, giving them incredible dreams revealing the risen Lord Jesus to them. For the last couple of years, he has been bringing them in great numbers to Europe, where it is much easier for Christians to meet them, show them the love of God and help them on their journey. Some countries have tried to block this road but the people still come and the church, on the whole, welcomes them. Christians are doing a fabulous job of helping in settlement camps, running welcome centres, and supporting the new arrivals to their neighbourhood. But more can still be done. I blogged about the opportunity the refugee crisis brings us over two years ago and nothing has changed. Seventy years ago, the Windrush generation started to come to Britain. Although many were enthusiastic Christians they were not universally welcomed into the principal churches, so they went and started their own. Some of these churches went on to become vibrant, growing denominations which have experienced significant revival. But the sad truth is that in most cases, we still have white churches and black churches, and very few genuinely intercultural ones. Let’s not make the same mistake with people from the middle east. Let’s welcome them with open arms. In 70 years, we do not want to see God blessing a thriving muslim-background community of believers while more traditional churches continue to close their doors. This is a wonderful opportunity for us to prove we have learned from our past mistakes and be genuinely inclusive towards those who are different. All material on this website (except where otherwise credited) is copyright Syzygy Missions Support Network 2009-2015.